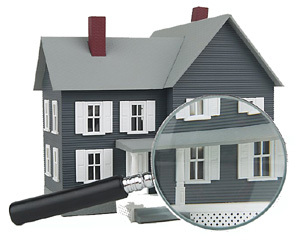 Looking for a Michigan home inspector? Need a Michigan home inspection or Michigan commercial inspection? Great Lakes Inspection Company is at your service – inspected once, inspected right! Whether you are a home buyer, a home seller, or a business, our home inspection reports are thorough and presented in easy-to-understand language. We do not alarm nor magnify problem areas, nor do we trivialize or minimize them. Our reports are written in an unbiased manner so the client can put them into proper perspective. Call us at 989-846-9000 or email us today to set up an appointment. 100% satisfaction is our goal. Our services do not end after the inspection. We are available to answer your questions at any time after the inspection. If we can’t answer your questions over the phone, we will be happy to come out to view any concerns you may have. Your home purchase is undoubtedly the largest investment you will make and it is our goal to help you protect that investment. We here at Michigan’s Great Lakes Inspections take our services very seriously – this is not just a job for us – it is our passion! When someone trusts us with their hard earned dollars to protect their investment, we promise to take every step possible to ensure satisfaction….this I promise you! Home Inspection Company Standish, Michigan Arenac County uses Graphene theme by Syahir Hakim.